People differ and so does their thought. There are many small and medium businesses. But finding a couple of businesses with the same necessities is tough. And that’s why it is important for businesses to have a flexible eCommerce platform. This is where Magento comes into action. The best e-commerce platform should fit in well with all sizes of businesses. It should be the darling of the experts. And, guess what, Magento is the best example for such software. Magento works best with all sorts of platforms allowing the user to shape it the way they want. It comes for free! Yes, Magento is open source software. 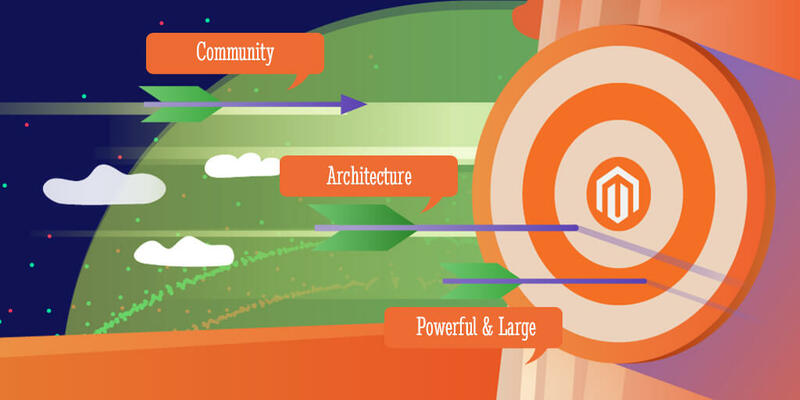 So, let’s dig deeper into the advantages that Magento offers. Magento is huge software which is still growing, but that ain’t it. Here comes the best part, it is super fast! Let me make you aware of the fact that Magento has almost 150,000 developers strive behind. It’s a complex architecture to make it better every single minute. They even have a committed Q&A site. There the shop owners can verbalise their queries. Request a session to sort out the issues that they have faced using the platform. And, to mention, the team is pretty active so you can expect to get a reply sooner than ever. Magento often appears to be over construct software because of its complexity. But in reality, it has the capability to fulfil all the requirements. It is build to scale up to Million and this, in fact, helps the developers to avoid any sorts of drawbacks. Few of its other advantages are maintenance, reusing, quick support etc. People often face issues about these. But Magento manages to take care of these without bothering users a bit. Guess what, Magento is one of the most powerful software in the market. It can support almost 500,000 products on a website. Other than that, Magento can take care of 80,000+ orders in an hour. It indicates that it can handle even more deliveries in the upcoming days. And due to its complex design. Magento is capable of taking care of the special hosting needs of its clients. Get better performance. Better loading speeds of the websites. 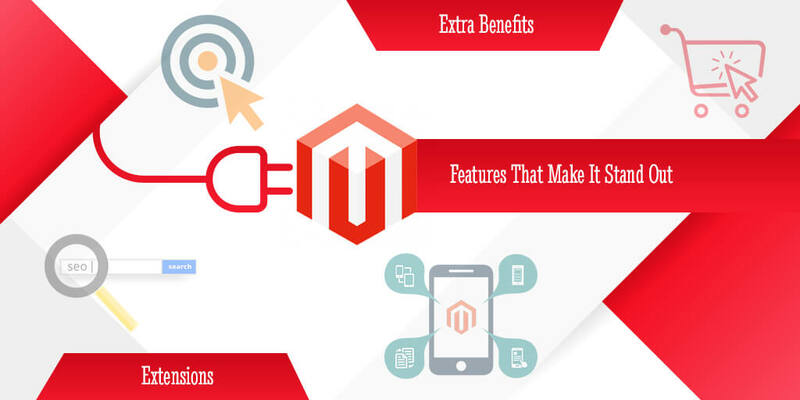 Magento provides its users with many features and handles them in a subtle manner. The stock version of Magento is allies with shoved, configurable, cybernetic and digital stuff. Being the owner of a Magento website anyone can wish to upgrade and their site or add some extra features to it. It is pretty natural to wish for. Well if you are one of them, Magento is your Santa. Magento comes with a set of extensions which are readymade and are able to fit in well anywhere. That there are any chances for you to not find something that isn’t there and statistics do agree to it. Between, there is an extra perk left. These features are shoe-string cheap. Magento has extra perks when it is about enhancing the UX. In Magento, you can browse particular options on products as well as the checkout pages. This not boosts up the UX but also betters your sales graph. As Similar other cross-sells. Other accessories are also available with out of the box features. The features that mentioned here earlier are. Not the only benefits a user experiences while using Magento. Additionally, Magento also contains a Content Management System (CMS) which is very urbane. Other than that. This robust software also allows third-party plugins to blend in real quick. Using Magento you also get to experience an intelligent filer attached to the search option. Keeping aside the benefits. Let’s focus on the reasons which have managed to put forward. Magento among similar other software in the market. Magento is design for e-commerce. Magento has a never-ending list of new, updated and superior extensions to smoother the experience of the users. The flexible rules of Magento help to decrease the prices. It attracts a large number of potential customers. Search engine friendly URLs get generated in Magento. It help in boosting up the marketing and sales hub. Magento has the capability to update itself on regular intervals. It is often not available in other e-commerce software. Magento has the capability to support many sites to promote services. As well as products across all platforms. Magento has an uber-cool mobile friendly configuration for smartphone users. It provides both multi-lingual and multi-currency support. Magento provides users with a quick checkout process. The advanced SEO service of Magento is capable enough. Put your websites in the top charts of the search engine results. It can even manage the products pretty. It allows you to put specific prices for different groups of customers. At the same time add up several pictures of the products. And the best part, all these features are control by some simple options. Magento is a popular software and it also has a pretty vast history. There is a lot of information available for both the users and the developers. Magento has a lot to offer to its users. It has been most used, by eCommerce website Design Company since its foundation. It has been aiding the entire industry throughout the period. After such a long discussion, that we are on the same page. 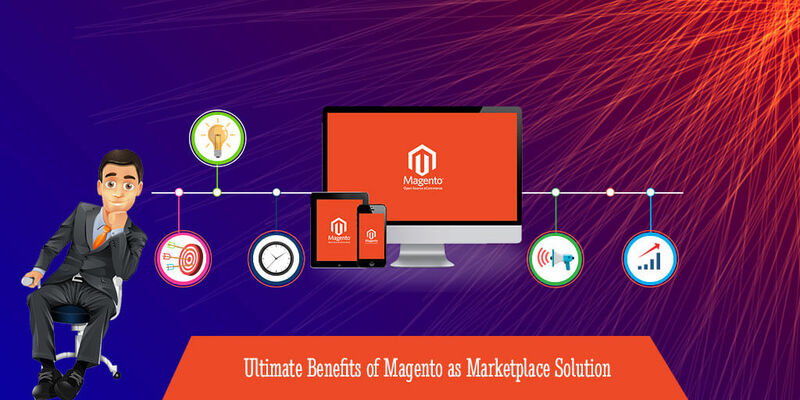 You have understood the ultimate benefits of Magento as a marketplace solution. Still, have queries? Feel free to knock us. Be Yourself, Because an Original is Worth more than a Copy!! !